1. Half-length simulated human. It has obvious anatomical features. It is portable with its small size. 3. 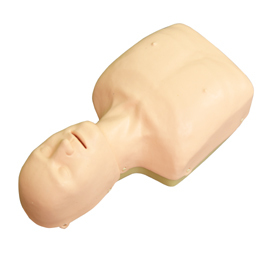 It is available to conduct training and teaching of airway opening, ventilation and chest compression; ups and downs of chest could be observed when conducting ventilation; there is voice prompt when compression is correct.